I’m sure that many will never forgive my decision last week to favor Derby Day over Cinco de Mayo which, alas and alack, passed us by last Tuesday. Still, this week I have been gifted by the PR gods of Big Cocktail with a drink so muy delicioso that it’s worth celebrating on el Ocho de Mayo, el Nuevo de Mayo, or pretty much any day of the year. As the name implies to anyone with a basic Los Angeleno knowledge of the Spanish language, the Spicy Cerveza Cocktail contains, you guessed it, beer. While I’ve been messing around with cocktails combining brews with various hard liquors for some time, the combination of Hornitos Plata Tequila — last featured here back on el Cinco de Julio — and the good Mexican lager of your choice makes for a drink that manages to be flavorful, refreshing, and pretty strong. 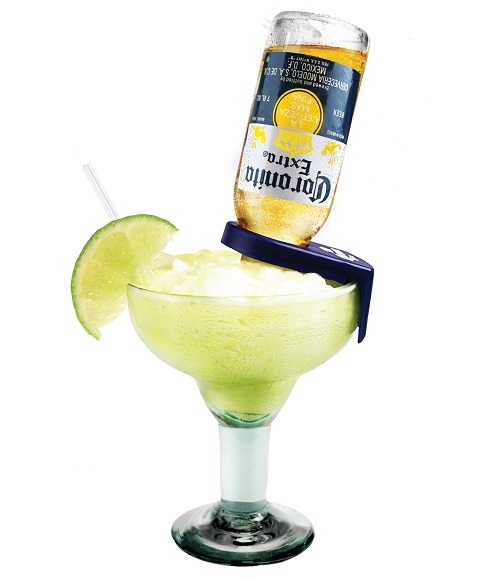 Kind of like a more macho variation on a really good margarita. Let’s get started. Start with a good sized glass — I had the best luck using a double rocks glass — rimmed with salt. Toss in your jalapeno slice and muddle it with a certain degree of vigor. Next, combine tequila, lime juice and simple syrup/sugar in a cocktail shaker with plenty of ice. Shake very vigorously. Strain into your glass, which by now should be filled with sufficient ice…but leaving room for four ounces of your all-important cerveza. Top the drink with the beer, and begin to sip, but not too quickly.This is a drink that benefits from taking your time. This is also a beverage that develops as you drink it. If you’re the patient type, sip slowly. You’ll start out mostly tasting the beer but, as you go,you’ll get closer to the chewy tequila/lime/sugar/jalapeno center. The cool part is that the fizziness of the Mexican lager will still be there as you continue. If you’re impatient to get to the drink’s margarita center, though, feel free to stir it, but do so very gently. Finally, this is a drink that can stand up to some variation. For my beers, I went with Corona and Pacifico, and both were just dandy. I suspect Dos Equis, Tecate, et al, will also be just fine. Since this drink comes to from the PR gods who have gifted me with a free bottle or two, I naturally recommend you use Hornitos Plata as your tequila and not just because I’ve been corrupted; its very slight sweetness complements the Spicy Cerveza Cocktail pretty beautifully. However, I did experiment with a very well known Brand X plata on one try, and the results were not horrific. Can you feel the excitement in the air? Or, maybe it’s just the sound of boxes of bourbon and tequila being shipped all across the country as we approach Cinco de Mayo this Sunday and Derby Day tomorrow. If you’re both a devout Southwestern partier and a horse racing fanatic, you’ve got a busy weekend ahead. I, however, have a decision to make. As a native Southern Californian, I very definitely would have been a son of Mexico had I been born, say, 115 years earlier. So, this year, the Mexican-American holiday defeats Derby Day in terms of which big day gets highlighted here on DOTW. I therefore present a Cinco de Mayo treat that has benefit of being really, really simple and containing some truly outstanding booze. In fact, this is a rare case where I might like one of our featured freebie boozes a bit more than the actual cocktail, which is a very minor variation on a latter day mixological masterpiece. Award winning and widely acclaimed, Casa Noble Tequila isn’t new. We’re told it’s history goes back to the 1700s, though Lord only knows exactly how long the modern day brand of Casa Noble Tequila Crystal — their white or “silver” tequila — has been on the market. Nevertheless, at any age I can tell you it’s delicious, with vegetable and pleasantly mineral notes that make this tequila pretty delightful straight up. That might have little to do with the fact that Casa Noble is one of three organic tequilas in the world, or that it’s partially owned by rock legend and lifelong (Baja and Northern) Califorian Carlos Santana, but it sure doesn’t hurt. The first time I tried this drink, I hadn’t gotten the memo about not adding salt to the rim, and so I did as one would usually do with a Margarita. I have to admit I liked it better that way, but salt is still not a part of the official recipe. 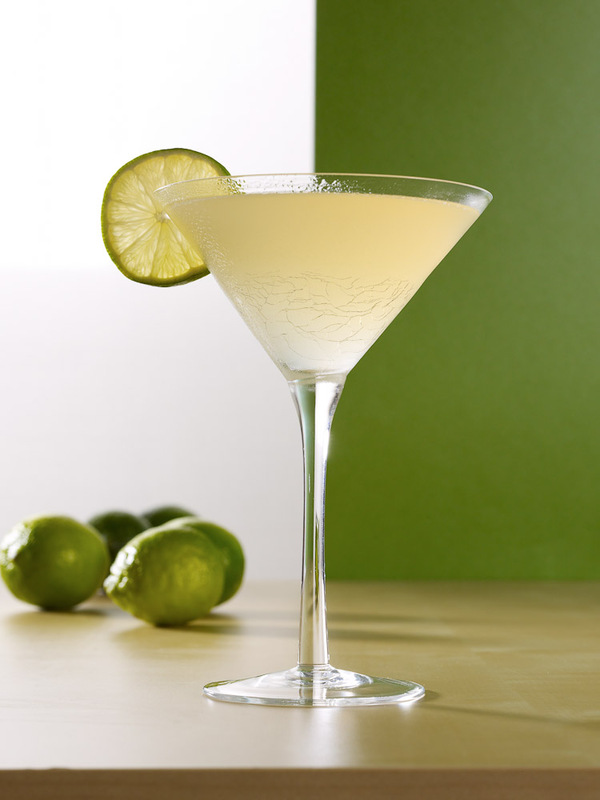 Aside from substituting Grand Marnier for the usual orange liqueurs, triple sec or Cointreau, the lack of salt is about all that distinguishes this margarita from the classic margarita, which I wrote about back in 2011 and I still think absolutely requires salt. In any case, I have to admit that I actually prefer the standard version, what with the salt and triple sec, to this classier but somewhat standoffish variation. 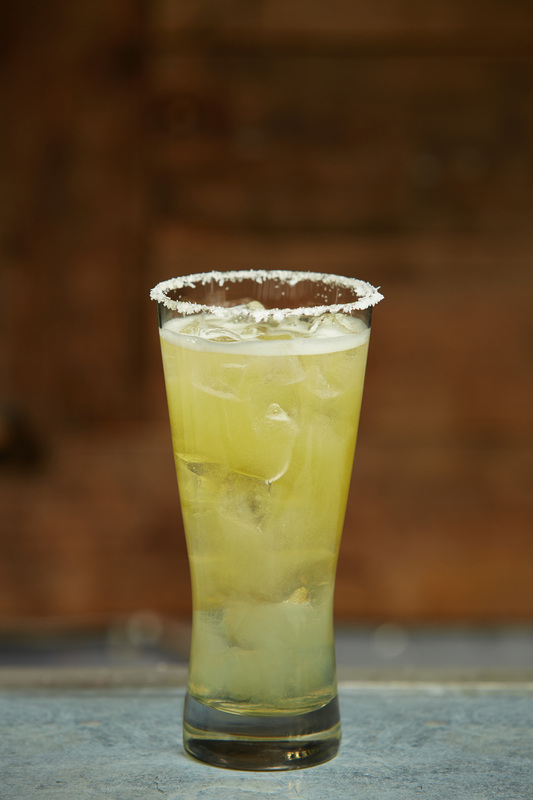 On the other hand, I can’t wait to try a standard margarita with Casa Noble, maybe for actual Cinco de Mayo, because that stuff is very, very good.